Sierra Burgess Is a Loser (film, 2018). An American teen comedy-drama film with "PG-13" rating by Netflix. Directed by Ian Samuels. Official Trailer. Sierra Burgess Is a Loser is an American teen comedy-drama film directed by Ian Samuels. 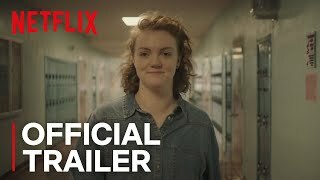 Sierra Burgess Is A Loser | Official Trailer | Netflix. Sierra (Shannon Purser) is a smart but unpopular girl who aspires to get into Stanford University. She does not fit the traditional standard of physical beauty, but she has a personality full of wit and charm. Popular mean girl Veronica (Kristine Froseth) frequently attempts to make Sierra's life miserable, showering her with cruel taunts and comments, especially regarding her appearance, which she often effortlessly and wittily sidesteps. When Jamey (Noah Centineo), a handsome football player from another school, asks Veronica for her number, she gives him Sierra's number instead, because Veronica has a boyfriend who is in college, and she also wishes to embarrass Sierra. This lie leads to Jamey texting Sierra, believing she is Veronica. After texting and flirting with each other for a while, Sierra soon begins to like Jamey, although she realizes he thinks he is texting someone else. During band class the next day, Sierra immediately tells her best friend Dan (RJ Cyler) about what has happened, claiming she has "met a guy." Dan responds very skeptically, informing her, "It's called catfishing, and I'm pretty sure it's illegal." She defends herself, saying that either way, they are her words. When Sierra discovers that Jamey believes he is texting Veronica, she approaches Veronica, who is upset after being dumped by her college boyfriend, Spence, who considers Veronica to be too dumb. She offers to tutor Veronica, in exchange for help in continuing to talk to Jamey. Veronica agrees, and they begin tutoring. As they continue helping each other, Sierra learns more about Veronica's frustrating family life, and Sierra begins to grow on Veronica. Veronica reveals how her father abandons her mother for a 22-year-old and how it has changed both her and mother's life. One night, Jamey video calls Veronica, who appears on the camera screen while Sierra talks behind it. The video call soon ends when Jamey tells her there is lag, and as soon as they hang up, Sierra and Veronica gleefully laugh together over the fact that it worked. Although initially cold to one another, Veronica and Sierra end up being friends. The film Sierra Burgess Is a Loser was scheduled to be released by Netflix on September 7, 2018 (United States). Sierra Burgess Is a Loser got high rating from critics. But the audience dislikes the film.